One of the best restaurants in St Pete is turning a year old, and everyone is invited to join the celebrations. Paul's Landing at the Vinoy Renaissance has been bringing great food and great times to Pinellas County since it opened, and the year has flown by. It's been a year of Florida seafood served with a modern twist in a spectacular setting. There's always room for a great new restaurant in town. Paul's Landing has been a worthy and welcome addition. Now, Paul's Landing is inviting everyone to enjoy waterfront dining at its best with two special events. 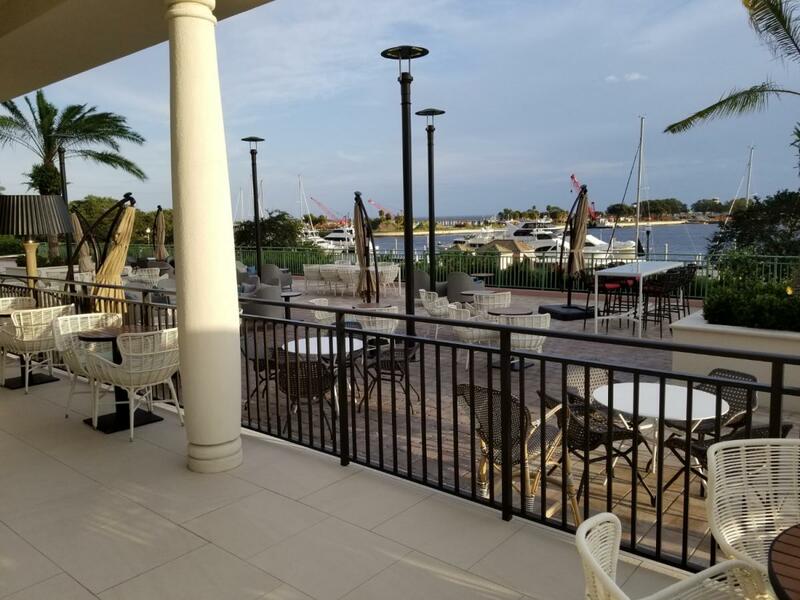 If you haven't yet been to Paul's Landing, this is a great way to experience one of the best restaurants in St Pete in a fun, relaxed way. Don't forget to check out the extensive list of local and national craft beers, outstanding wine selection and specialty craft cocktails. On Friday, February 1, Paul's Landing invites you to celebrate its first year by partying like it's 1974. They're going all out with a 70s birthday party theme that includes a hula hoop competition and a costume contest. Put on your favorite bell bottoms, bandanas and fringed vests, because the best 70s costumes will win prizes. There are also prizes for the hula hoop contest. Get ready to get down with food and drink specials, games and more. Live music by the Black Honkeys will keep all you cats grooving all night long. The party starts at 7:00 PM. RELATED CONTENT: Paul's Landing at the Vinoy in St Pete Keeps it Local, Fresh and Delicious! Sunday, February 3 is the Big Game and there's no better place to watch it than under the sun at Paul's Landing. This event will be held on the event lawn. Be there at 6:30 PM with your own chairs or lawn blankets. Please don't bring any outside food or drinks. The restaurant is providing game-day classics including nachos, hot dogs and a wide assortment of wings. At halftime, you provide the entertainment with a hot-dog eating contest that everyone is invited to join. Can you beat the current world record? Probably not, but you can have a lot of fun going head-to-head with fellow competitors. Best of all, the winner gets a $25 bar tab. Paul's Landing at the Vinoy Renaissance continues its tradition of bringing food and fun to our area. You don't want to miss these opportunities to celebrate the first successful year of one our favorite restaurants in St Pete. Find more restaurants in St Pete by registering on 727area, your free guide to everything local!